After the wave has passed Google+, if you are also interested user of Facebook and Twitter. Start G+, a Google Chrome extension that lets you view and monitor the activities of Facebook and Twitter in your Google+ profile. 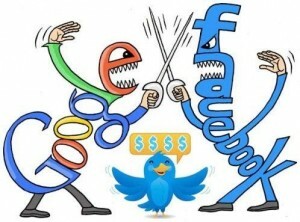 And although Star G+ is not an official extension of Google, can be purchased through the web store, and in the absence of an extension that allows us to gather the interfaces of the three social networks, this would be the ideal solution for Facebook, Twitter and Google+ lovers. Once you download and install Start G+, directly from the Google+ profile, you can post a status update on all social networks, even if we are not able to disable this function be, the same way, we can import photos to Facebook, to apply “Like”, +1 or see tweets. In addition, not everything is focused on Facebook and Twitter, as Start G+ adds a Gmail feature, showing an icon at the top left of our profile, it also means that we can control the emails we receive, read the topics that come to us and remove it … How? Only giving a click on the Gmail icon. The program does not support WidgetBlock and, moreover, not to be confused with another product that could be a malware. The only problem find with Start G+ is that we must grant permission for it to access the records and data of Facebook and Twitter, a circumstance that may scare more than one to learn that the extension is not official.